← How Did Texas End Up With Such Screwy Political Districts? 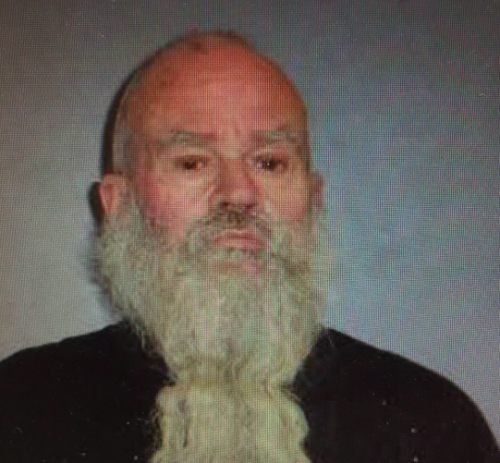 A 59-year-old man has been arrested and charged in federal court with intentionally setting the U.S. post office in Alpine on fire last week. The Justice Department said Tuesday a criminal complaint was filed against Karl Henry Peterson for one count of arson involving a federal facility. Brewster County Sheriff Ronny Dodson confirmed Peterson is an Alpine resident, adding that authorities were well-acquainted with him. “We’ve dealt with him on numerous occasions on other types of incidents,” Dodson said, though he couldn’t remember what kind of “incidents” those were exactly. Dodson said authorities had at one time identified Peterson as a member of the “Bandidos” Texas motorcycle gang. “We had contact with him in that aspect too,” he said. Peterson was in federal custody as of Tuesday afternoon, and was scheduled for a first hearing before U.S. Magistrate Judge David Fannin Wednesday morning in Alpine. He faces between five and 20 years in federal prison if convicted. In a press release, the U.S. Attorney’s Office Western District of Texas did not release any details as to a motive in the alleged arson. The office also did not respond to a list of emailed questions about the case. This entry was posted in KRTS News and tagged alpine, Arson, Brewster County, Crime, Justice Department, Postal Service, U.S. Attorney's Office Western District. Bookmark the permalink.